Just west of Twin Lakes, off the road to Aspen. 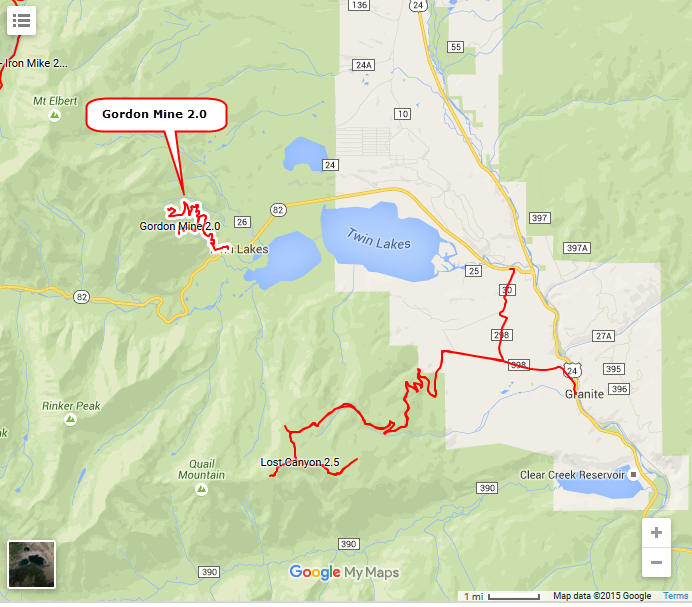 A short trail that can be combined with Lost Canyon 2.0 to make a longer day. 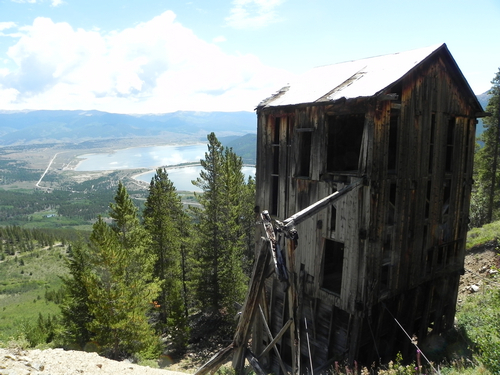 The left spur goes to a building remaining from the Gordon Mine. 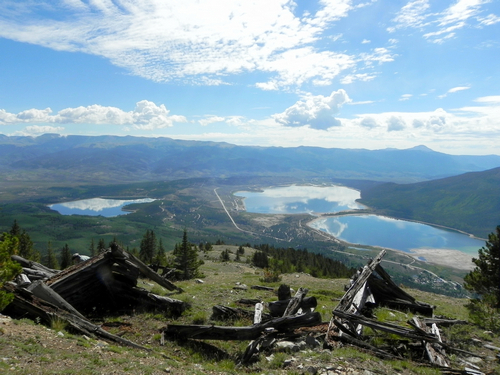 The right spur has great views from remnants of the Bengal Tiger Mine.